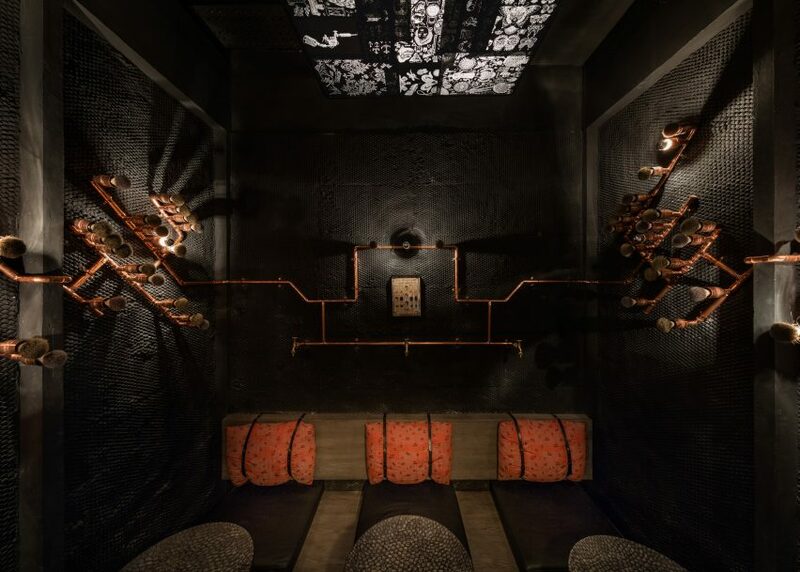 Joyce Wang Studio's latest restaurant in Hong Kong features burnt walls, a chandelier made from smoked washing-machine drums and a barbershop-themed den (+ slideshow). 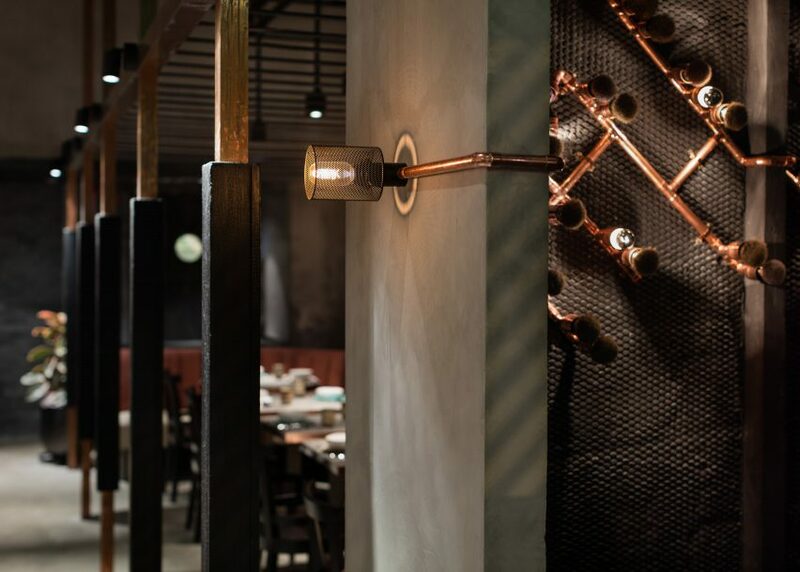 The interior design practice was selected by restauranteur Yenn Wong and Chef Nate Green to create Rhoda, a neighbourhood restaurant in the Sai Ying Pun district of Hong Kong Island. Designer Joyce Wang worked closely with Green to reflect his style of cooking in her interior. Through the use of burning and smoking, the designer pays homage to his method of charcoal grilling. 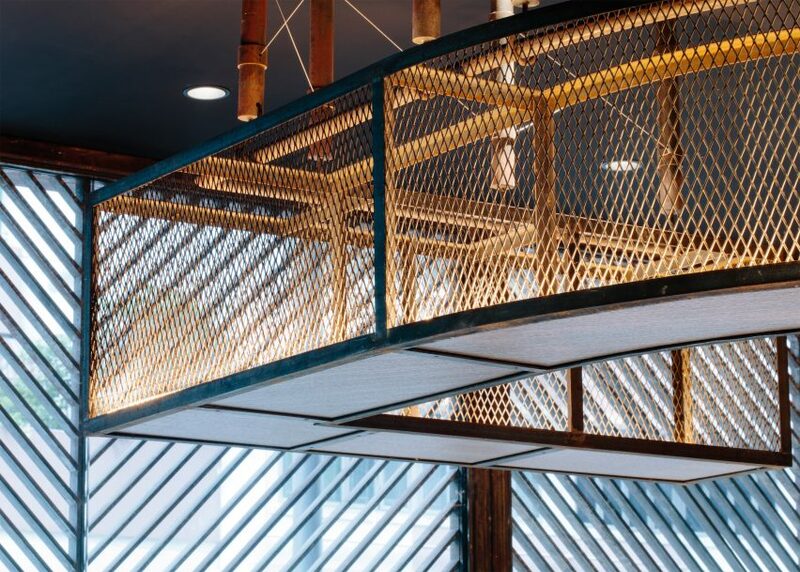 She used shou sugi ban, or stained oak wood cladding, on the restaurant's walls and columns. "Shou sugi ban is a traditional Japanese method of smoking wood and a way of preserving it for architecture," Wang told Dezeen. "It is a material that encapsulates the spirt of Nate's signature cooking style". 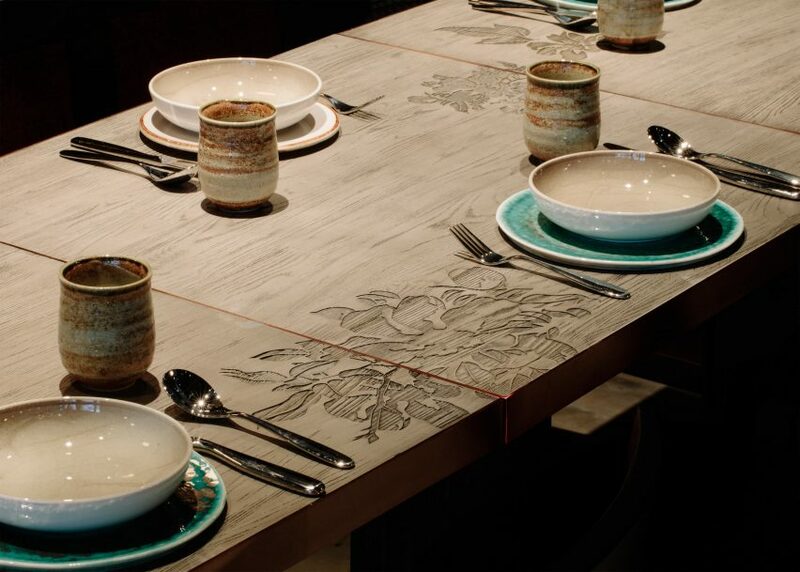 As well as the cladding, the burnt-wood theme is continued through the branding of a rose emblem into the tables. 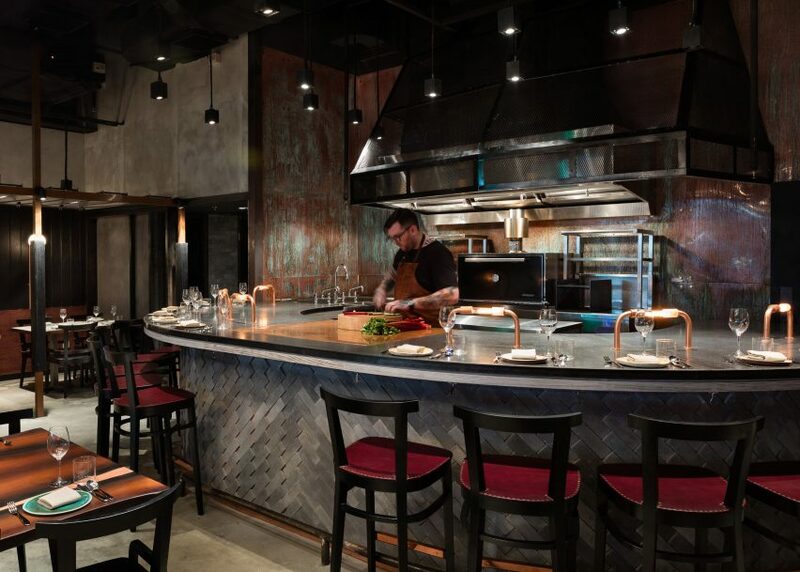 An open kitchen and cocktail bar face each other at either end of the restaurant. On the ceiling in between, a cluster of reclaimed washing machine drums hangs as a chandelier. "We found that domestically, the washing machine drum is often used as a vessel for the barbecue," Joyce said. "The washing machine drum is a subtle reference to this underlying narrative." "More importantly, it gives off a warm glow of light when lit from within." To continue the charcoal motif, Wang smoked the drums with a flame. They were then bathed in vinegar to give them an industrial finish. Separate to the restaurant, a private den-like room dubbed "Nate's Room" introduces a barbershop theme. The six-seater alcove has textured walls, which the studio made by pushing concrete through chicken wire. Described as a "hairy wall finishing", it is a nod to the chef's passion for barbering. 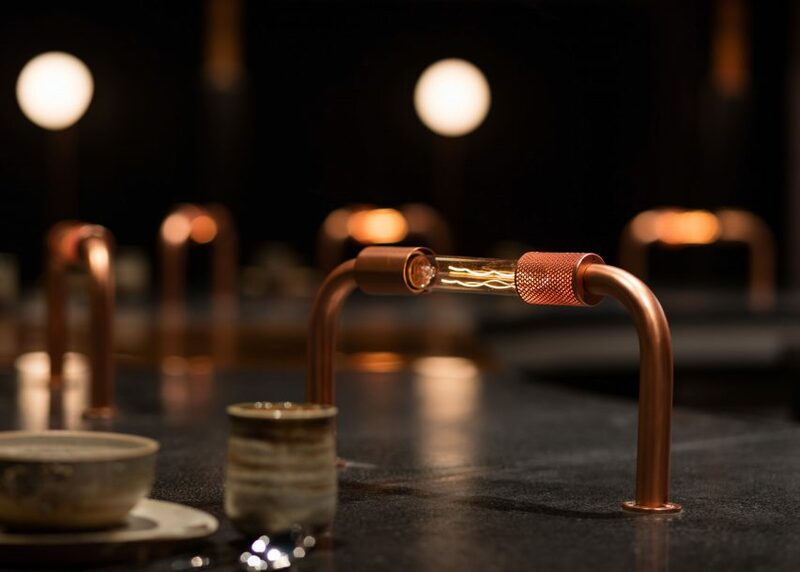 A network of copper tubes leads to bronze taps placed above the diners' head, mimicking a hairdressing salon. Shaving brushes are placed along the lengths of the pipes. Other ornaments include a framed chart asking "How Do You Want Your Hair Cut?" and a suspended light box containing stencils of Green's favourite vintage tattoo designs. 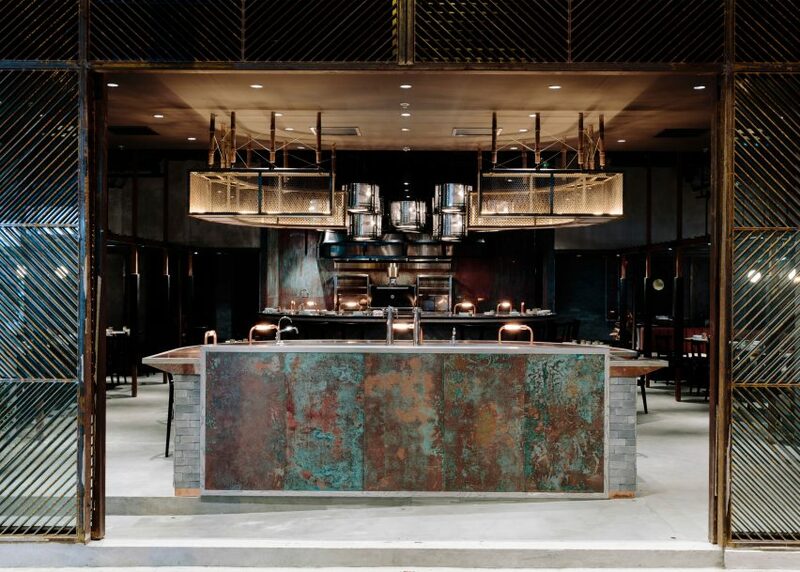 In order to encourage the tradition of family dining, a large communal table sits underneath the washing-machine drum installation in the main part of the restaurant. Its cedar wood was charred by a specialist in the UK after being assembled in Iceland. The maker melted copper into cracks in the wood and polished it to a smooth finish. 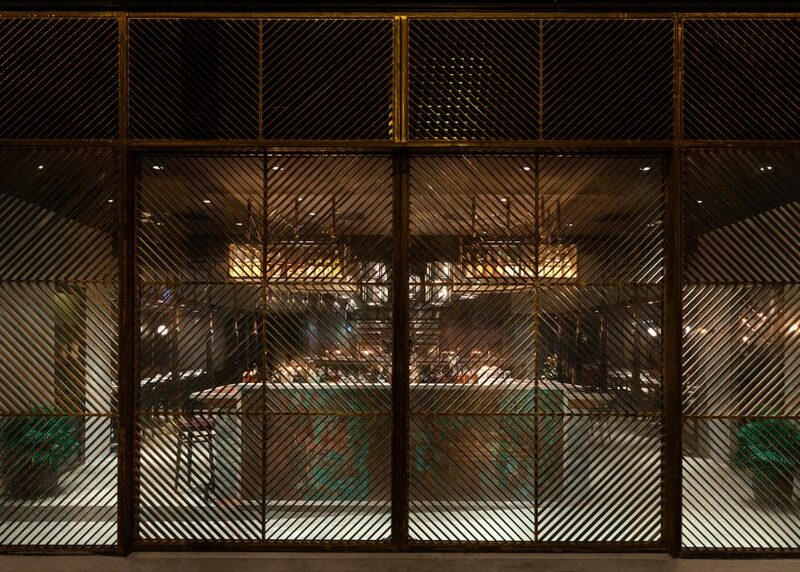 Oversized, raw-steel garage doors at the restaurant entrance open onto the busy Hong Kong streets, which Wang believes to be the most successful design feature. 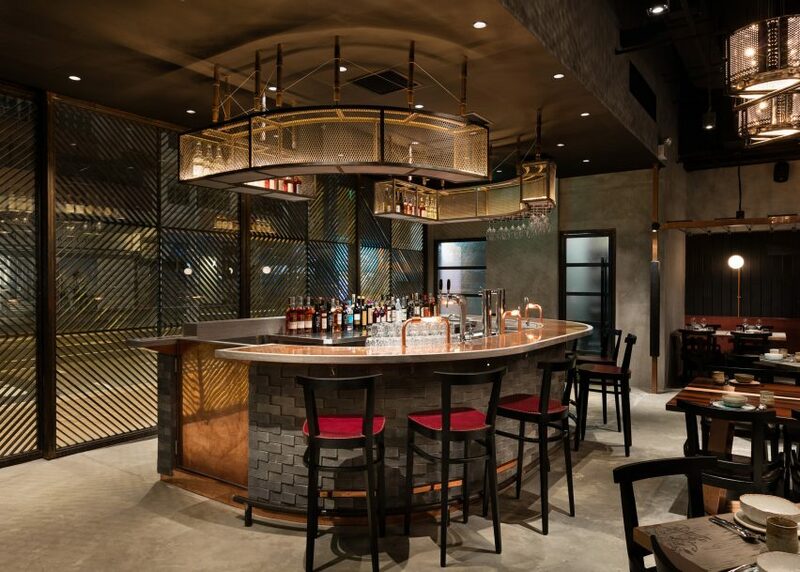 "They slide open completely to welcome the bustling neighbourhood of Sai Ying Pun into the restaurant," she told Dezeen. "Rhoda is then able to transform from an intimate restaurant into a democratic space that can engage with the vibrant street life." Wang is renowned for her industrial warehouse aesthetic and unusual use of materials. Other projects include a penthouse described as a "celebration of metal" and a restaurant featuring sculptural chandeliers shaped like spiral staircases.